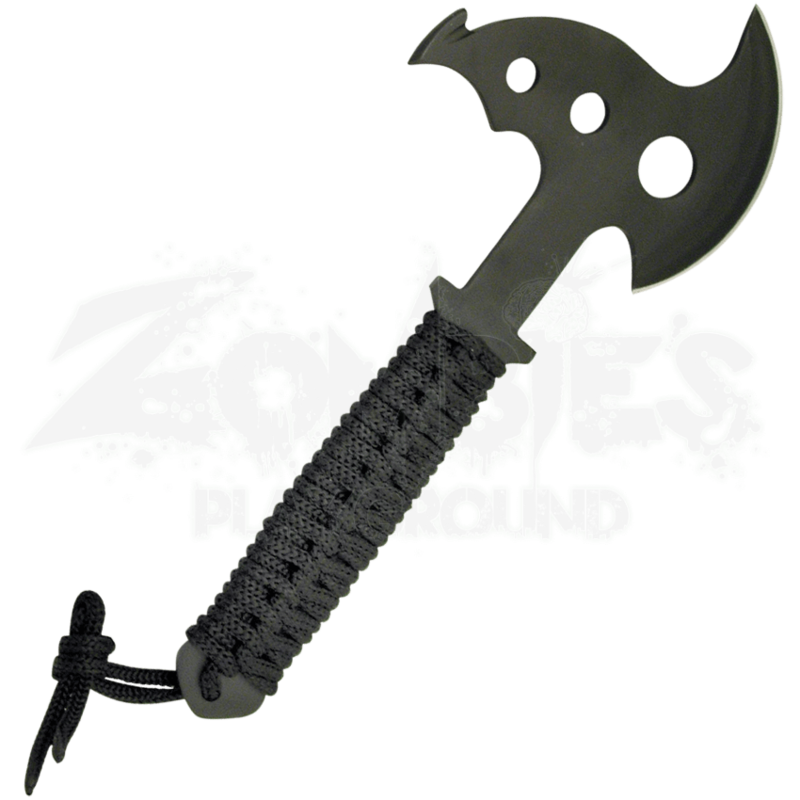 Take the Witching Hour Survival Axe with you as you face all the things that go bump in the night. The full tang black stainless steel axe keeps a low profile but makes a deep impact when used for any chopping or cleaving activities. A battle axe for the modern era, this collectible piece is equally attractive and effective. 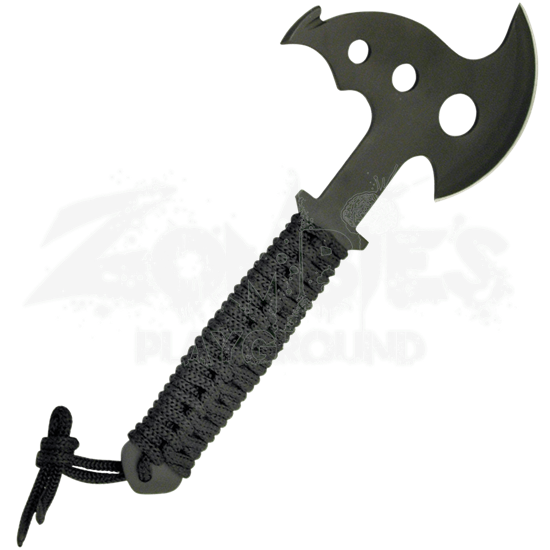 Great to pack with your camping or survival gear, this tactical axe features circular cutouts in the head to reduce weight. The handle has been wrapped with black cord for a comfortable and secure grip. A nylon sheath is included for safe transport and storage. This compact functional axe is the perfect companion to sort out friends from foes.